Providing you the best range of waste treatment equipment, stp spares, stp equipments and em solution with effective & timely delivery. 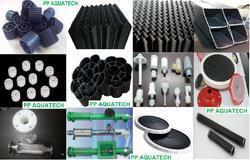 We are a big manufacturer and supplier to Sewage treatment plant spares part available. We are manufacturing and supplying all type of STP equipments and spares. EM culture stands for Effective Microorganisms, an all-natural blend of beneficial microorganisms. EM culture Microbial Inoculants is made through a natural process of fermentation. Nothing has been genetically altered or chemically engineered. 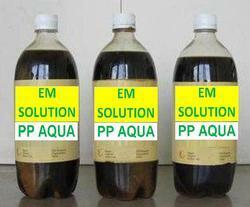 EM culture is safe and easy to use and is listed as a fully organic product. EM culture is now being used in over 120 countries, and is resolving a broad variety of environmental problems. For wastewater treatment applications, EM culture Microbial Inoculant is being used to dramatically reduce odors, such as ammonia and hydrogen sulfide (H•S) at any point within the wastewater collection and treatment system. With consistent and targeted applications of EM, it is possible to prevent the production of H•S in lift-stations and collection systems by the exclusion of the putrefactive pathogens and free radicals. The areas of greatest odor complaint conditions include lift stations, areas of low flow, the head works, anaerobic digesters and press plants. No two wastewater treatment systems operate exactly the same. A myriad of conditions must be taken into consideration before EM culture Microbial Inoculants’ is applied from the source point of water supply, socio-economic make-up of the community, industrial loading, seasonal conditions, and type of treatment plant system utilized. After an assessment of the system, a targeted application would be needed to address the various causes of problems. Recommended points of application would be dealt with for the odors, as well as for the actual treatment of the wastewater itself. EM culture Microbial Inoculant is a low-cost technology that gets results fast and can significantly save money when properly applied.